We will take any excuse to decorate for the holidays around here! 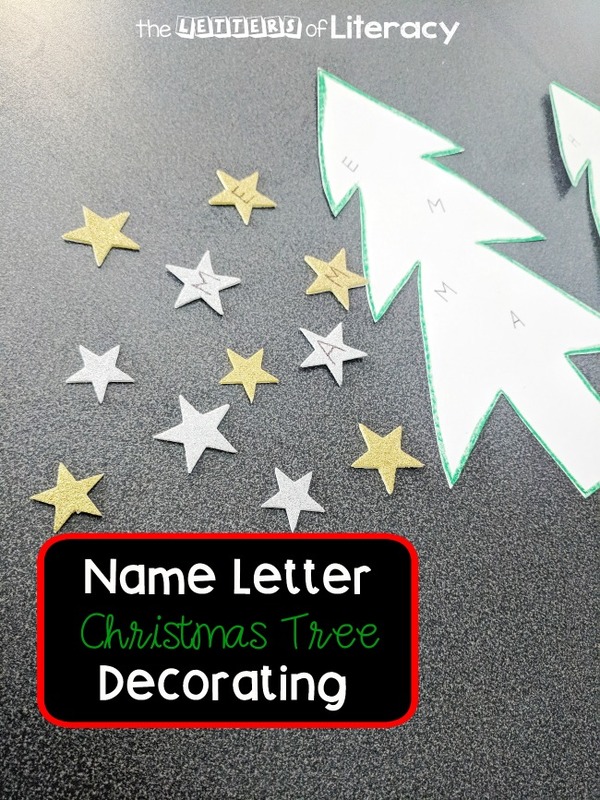 This very simple tree decorating activity was a great way to get festive while working on name recognition. 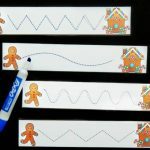 Educational activities for your kids or quick center ideas do not need to be elaborate. I have found the most beneficial activities are ones made with materials I have on hand, nothing fancy! My kids and students seem to appreciate the simplicity of an activity and then we can build off of it to make it more challenging. 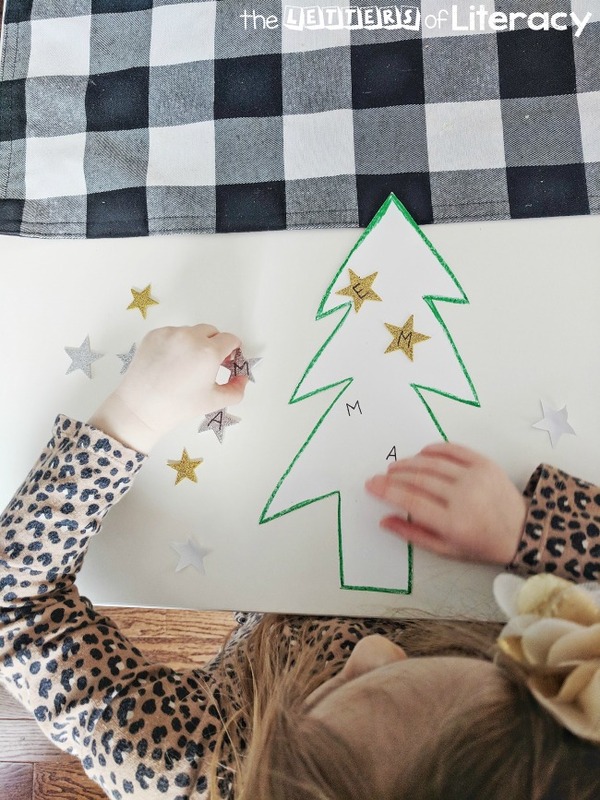 Your children are going to have a blast with this Christmas Tree Name Building Activity! 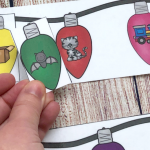 *Pair this with our Christmas Writing Center Activities! 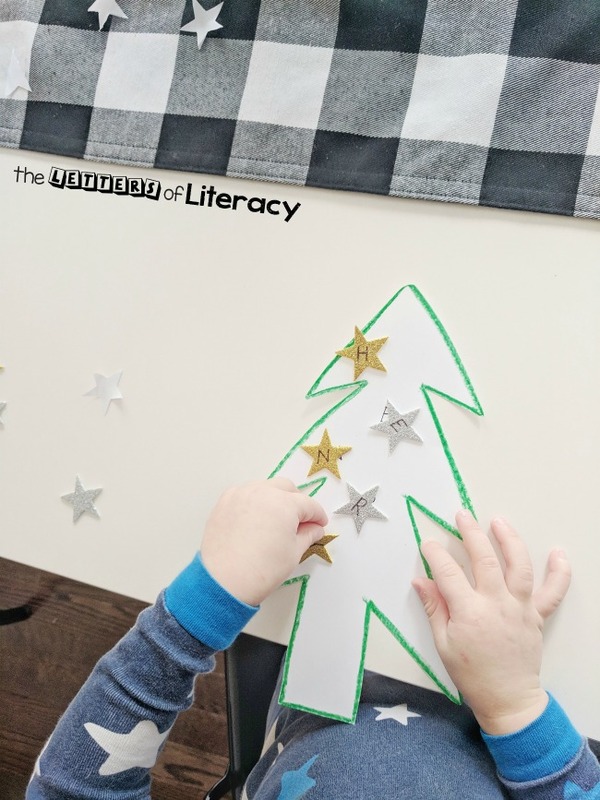 With a few household items, you can create this simple tree decorating activity where children are also practicing name recognition! 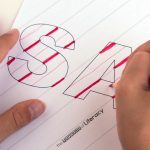 Let’s get started with this easy-prep literacy project. 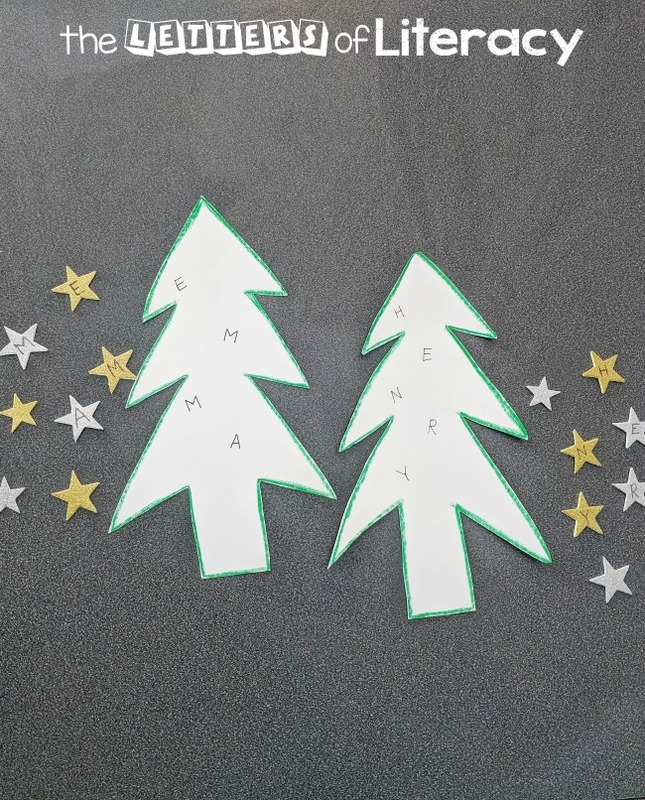 I quickly drew and cut out Christmas tree shapes out of construction paper. I then added the letters of their names to each tree. Finally, I wrote the corresponding letters on star stickers for them to match and decorate. It is as easy as that! They loved this activity! I also gave them a few extra stars to decorate the rest of the tree. This was a great way to work on name letter recognition as well as fine motor skills. Colored dot stickers would also work really well and look like ornaments! 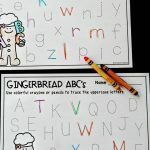 We plan on doing this activity again on a larger scale using all the letters of the alphabet. 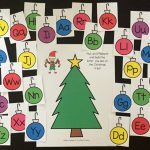 For my older child, I will write uppercase letters on the tree and have her match the correct lowercase letter to it. For my younger child I may work on color matching with dot stickers. 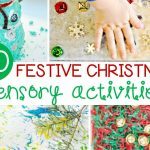 There are so many options for this activity! Quick, easy and educational. We have enjoyed hanging these up with the rest of our holiday decorations. We hope you recreate this activity with your own skill building idea! 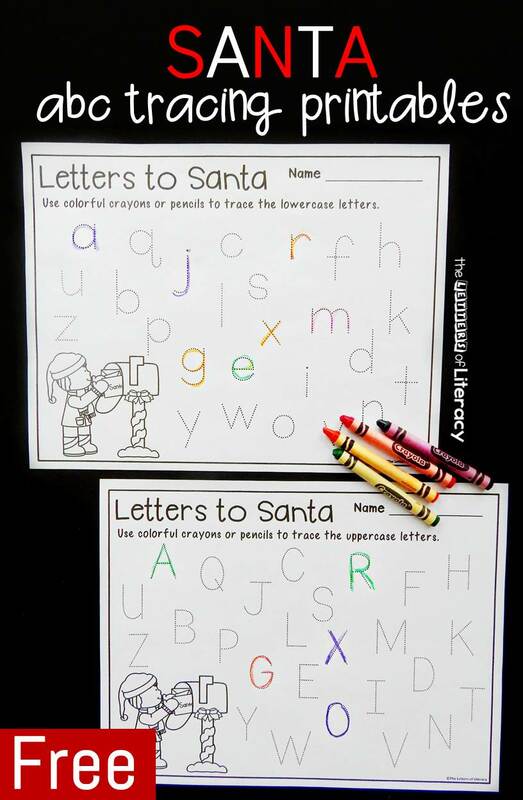 You might also like to see our Letters to Santa FREE Printable Tracer Sheets! Alison Davitt is a Special Education Teacher turned stay-at-home mom. She enjoys finding ways to teach her two young children through intentional play and blogs over at Yoga Pants & Pearls. She is a coffee fanatic who loves a cozy night in with her family of four. 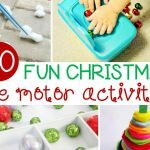 You can find more of her toddler and preschool activities on her Instagram and Pinterest pages!